Home Shows The Scottsdale Arabian Horse Show! 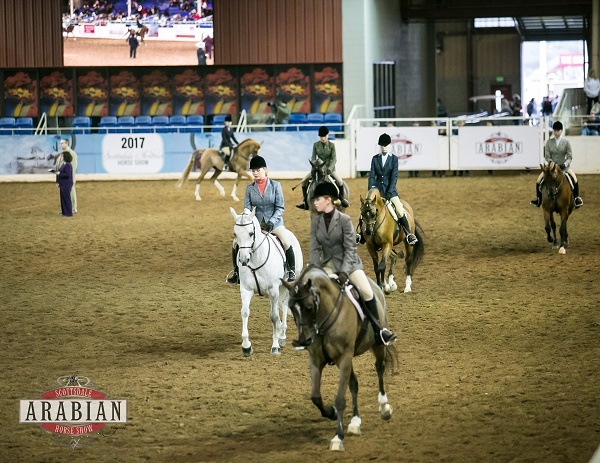 Each year, the Scottsdale Arabian Horse Show draws more than 2,400 of the world’s finest Arabian and half-Arabian horses for a week of thrilling competition in pursuit of the coveted Scottsdale Champion title. These magnificent animals and their owners gather from around the world to compete for more than $2,000,000 in prizes in more than 1000 colourful classes. The 63rd Annual Scottsdale Arabian Horse Show will take place at the City of Scottsdale’s WestWorld between 15 and 25 February 2018. The largest event of its kind in the world, the Scottsdale Arabian Horse Show routinely attracts over 300,000 Arabian horse enthusiasts. In addition to exciting competitions, gala parties, educational seminars and an international cuisine court, the event features more than 300 vendors and trade booths, offering everything from lavish jewellery, clothing and works of art to boots, saddles and gifts. Guests also can stroll the luxurious, exotically decorated stabling areas in which the horses are housed. 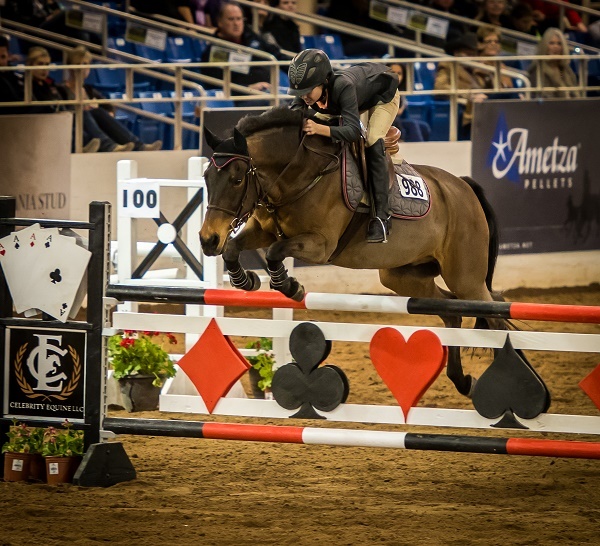 The Scottsdale Arabian Horse Show is the first show of the competition season and it is always a grand event where owners, breeders and trainers unveil their superstars for the new competition year. People gather from around the globe to take note of new champions that will influence the show year and take a top spot in the history books. Although it’s a grand event today, the Scottsdale Arabian Horse Show had very modest beginnings. It all started in 1953 when horse fancier Ed Tweed stopped by the stable of Pearl Grey Clyde, the first person to bring a purebred Arabian horse to the Valley of the Sun. At that meeting, Tweed proclaimed that he would bring together all Arabian horse owners in Arizona and start an Arabian Horse Association. Two years later, the inaugural Arabian Horse Show was held at the Arizona Biltmore Resort. The event was organised by an all-volunteer group and consisted of 50 horses and just over a dozen exhibitors, all from Arizona and neighbouring states. Following the inaugural event, Arabian horse owner Ann McCormick bought 150 acres of land near Bell Road that became Paradise Park, the new site of the Arabian Horse Show. Due to the amazing success of the event, it outgrew Paradise Park in the mid-1980s and moved on to WestWorld of Scottsdale, a newly developed, much larger facility that proved to be the perfect locale for this incredibly popular show. Each year the Scottsdale Arabian Horse Show raises hundreds of thousands of dollars for local charities. Some that have benefited from recent shows include the March of Dimes, Cox Charities, Crisis Nursery and Horseman’s Distress Fund. For more than sixty years, the Arabian Horse Association of Arizona has been a supporter of charitable organizations and will continue to support such endeavours this year. Club members estimate that over the years, more than 100 charities have benefited substantially from the event. 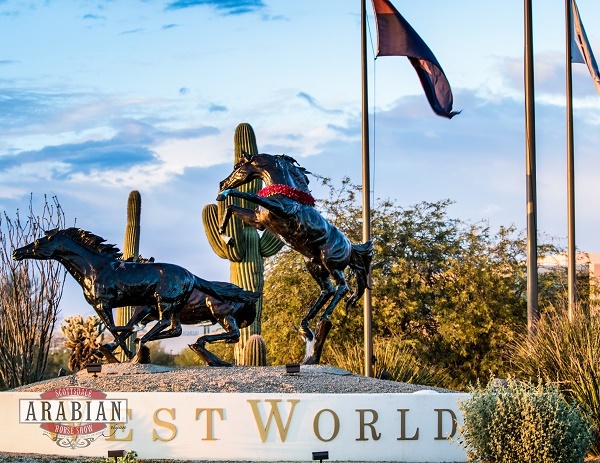 Set against the beautiful backdrop of the Sonoran Desert, the Scottsdale Arabian Horse Show is a must-see event that is perfect for the whole family. 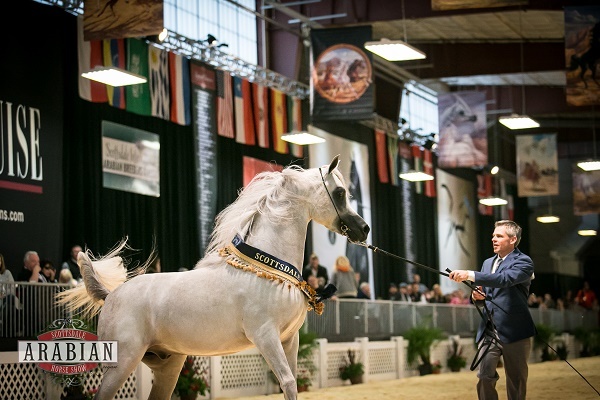 Join us in Scottsdale next February and watch these magnificent horses compete! Tickets to the Scottsdale Arabian Horse Show can be purchased through TicketMaster tel: 800.745.3000 (US only). 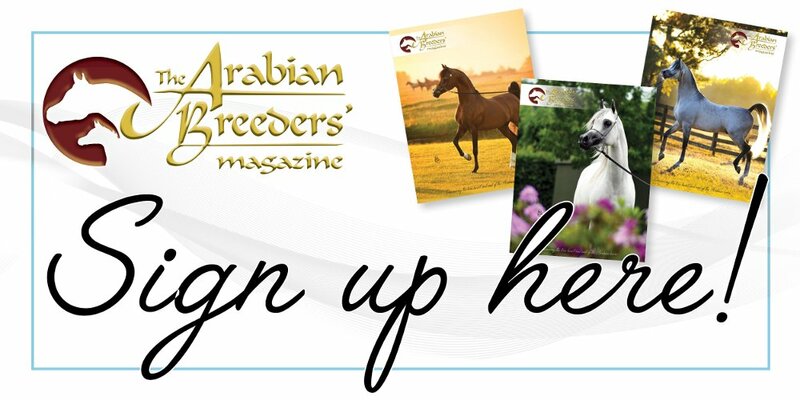 For more information on the show and for local Arabian farm listings, visit the Arabian Horse Association of Scottsdale’s website.